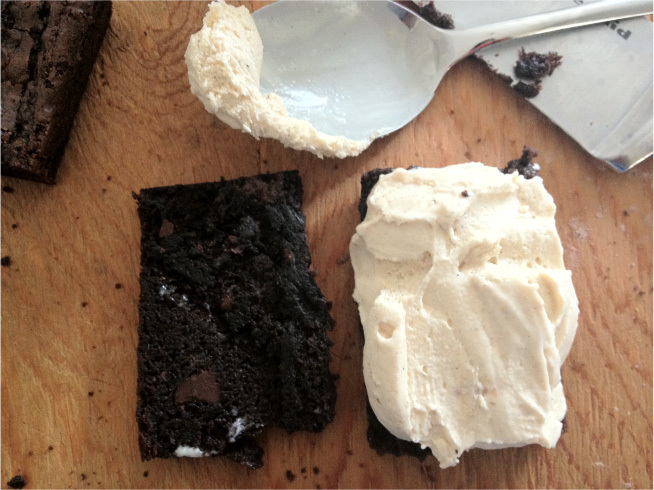 Dark chocolate brownies + peanut butter ice cream = AWESOMENESS! In honor of the summer, I decide to whip a quick delicious cool treat. 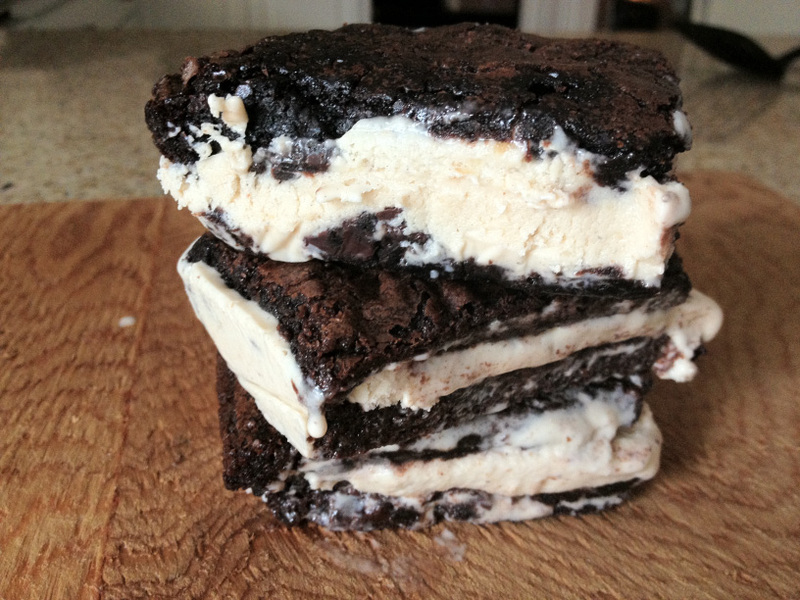 All you need is a box of your favorite brownie mix, vanilla bean ice cream, and peanut butter. 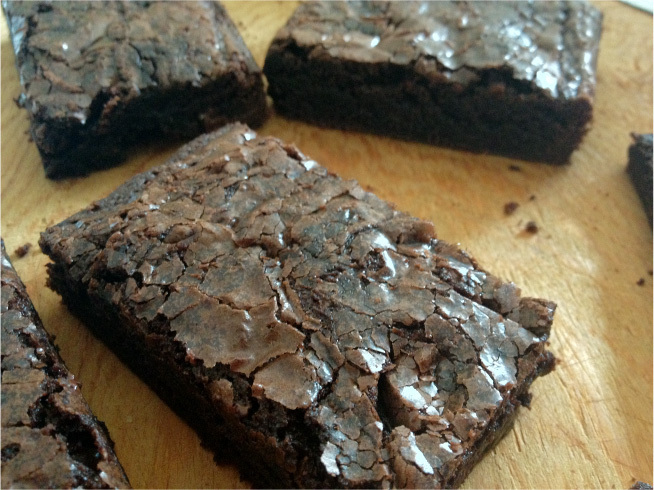 Feel free to get fancy and make your brownies from scratch but I kept it simple with the box brownies. 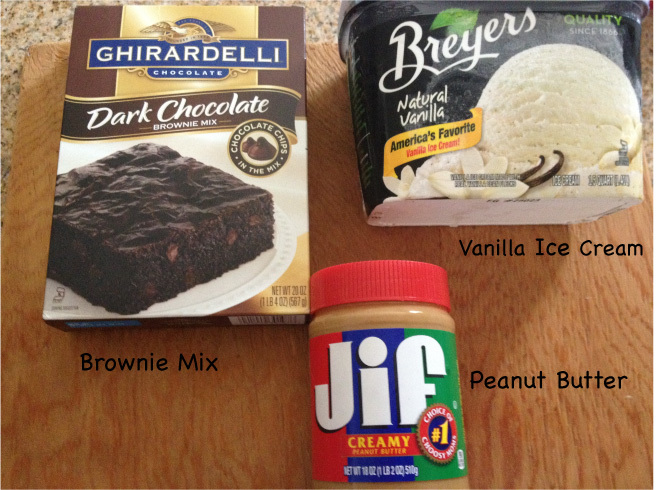 The combination of the rich dark chocolate and cool smooth peanut butter ice cream is out of this world! 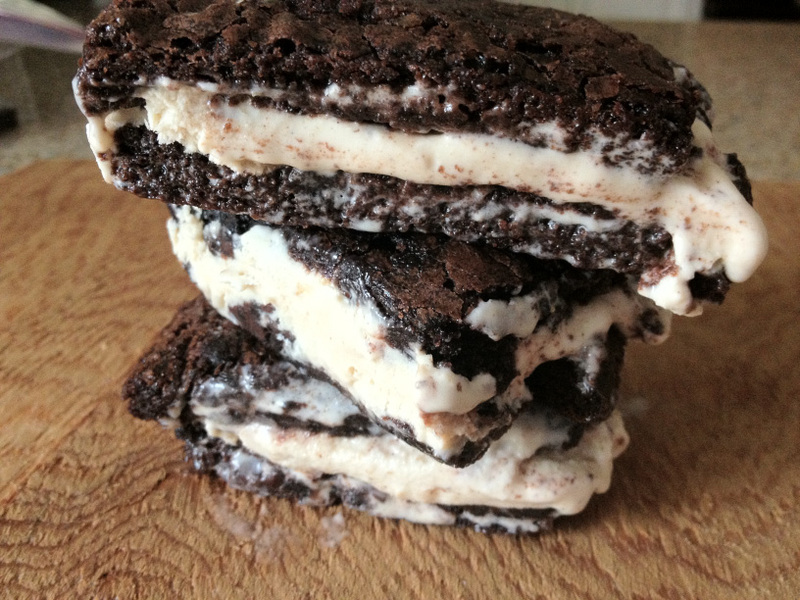 Here is what you will need in order to make your sumptuous brownie ice cream sandwiches. 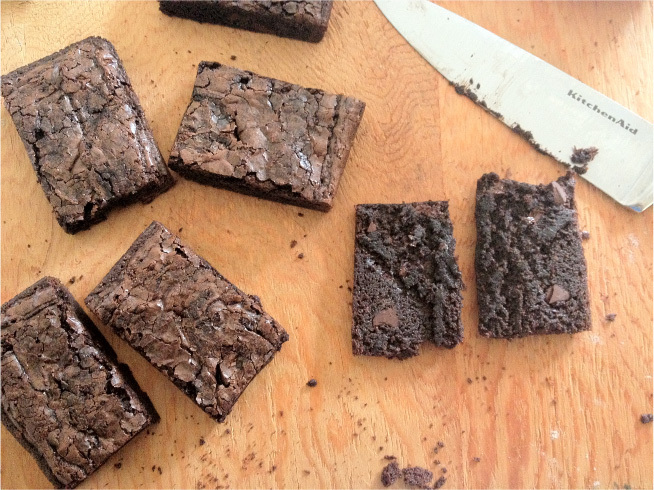 Slice brownies into squares for sandwiches. Cut them open to fill with ice cream. 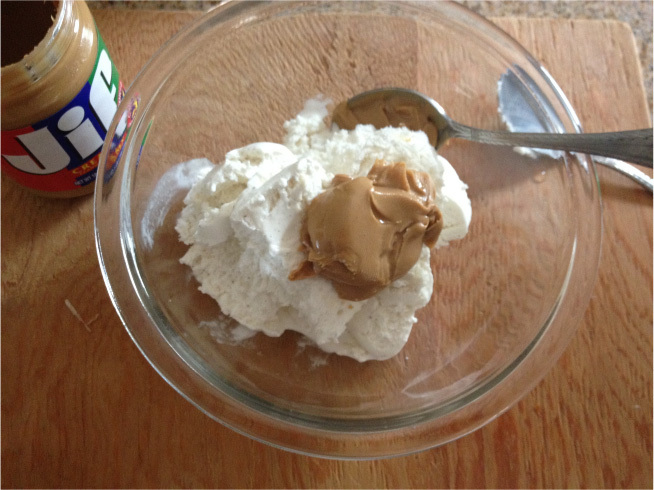 In a large mixing bowl combine 2 cups of ice cream and 2 tablespoons of peanut butter. Whip together until smooth. Work quickly, you don’t want the ice cream to melt. 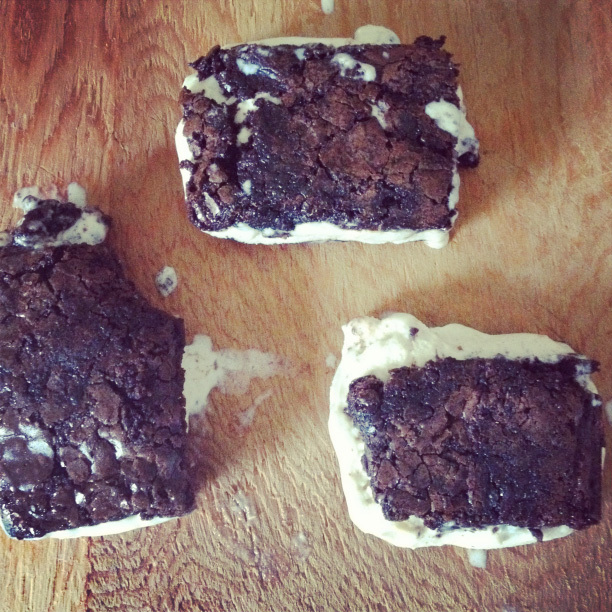 Place peanut butter ice cream onto a brownie square and assemble sandwiches. 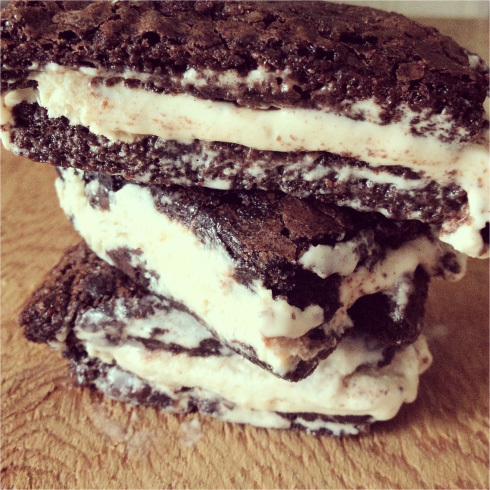 Wrap each sandwich in parchment paper and freeze for 1 hour.